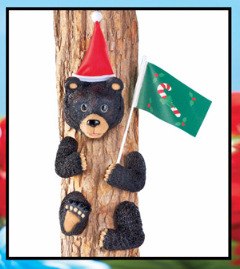 This adorable, hand-painted welcomes every season with festive charm. 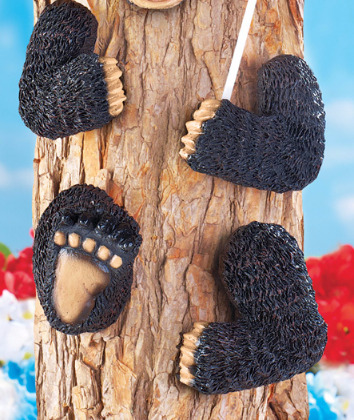 Hooks on the back allow you to hang the intricate detailed pieces on a tree in your yard, and you can add the seasonal hats and flags throughout the year. 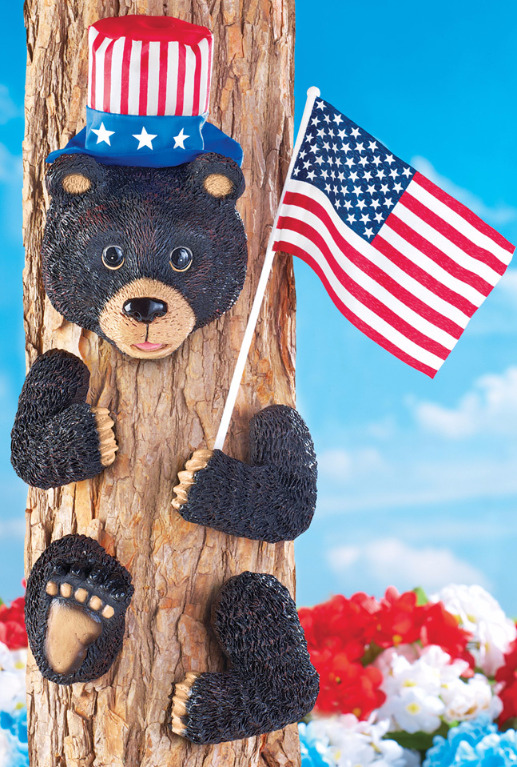 The adorable bear comes with a flag set for Easter, Fourth of July, Halloween, and Christmas. 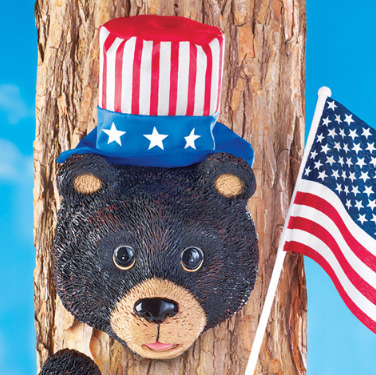 Bear is Resin with poly-resin flags and hats. Bears head is 4 3/4" L x 4" W x 5" H. Hats are approximately 4"H.